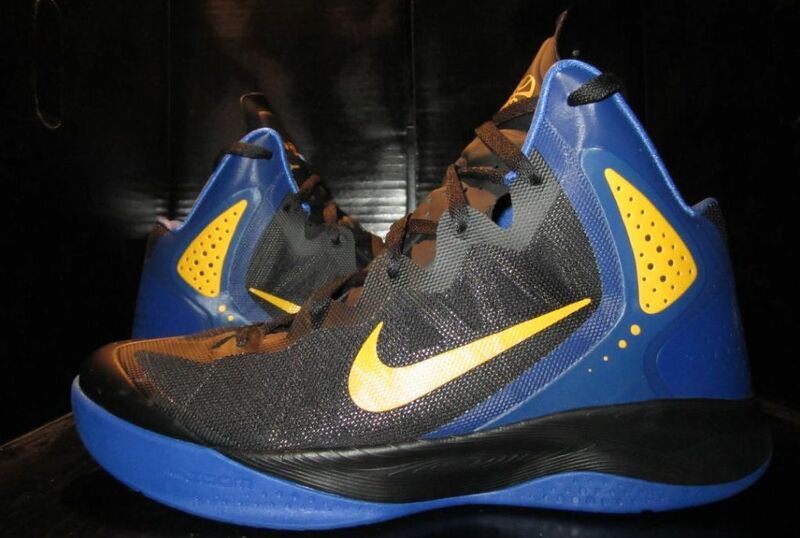 Before Stephen Curry settled into the Zoom Brave V, Nike worked on this exclusive Hyperenforcer colorway. 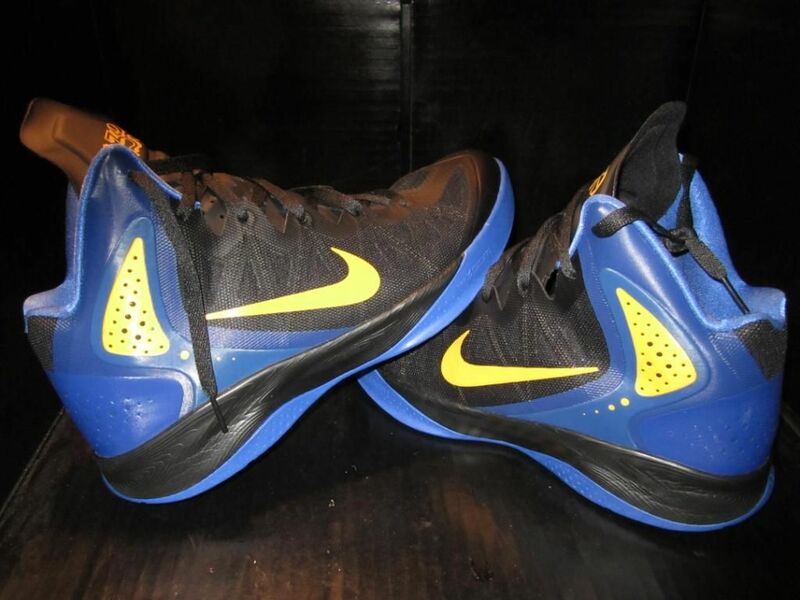 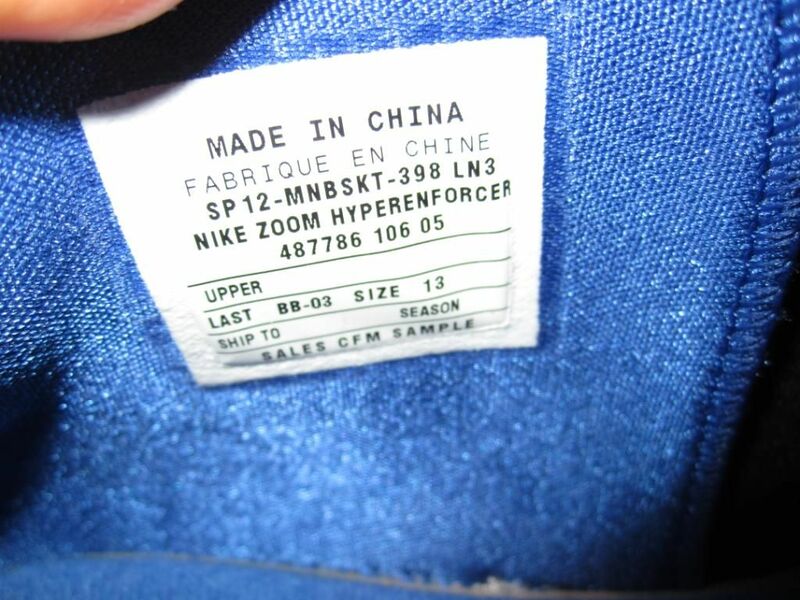 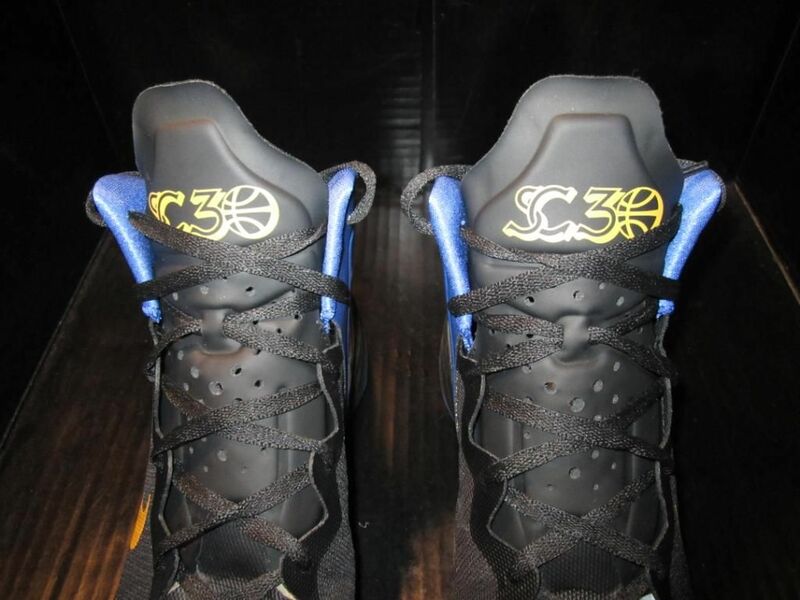 Searching for answers to his problematic ankles, Golden State Warriors guard Stephen Curry spent most of the 2011-2012 season playing in the Nike Zoom Brave V. However, Nike still cooked up a few different Player Exclusives for him to wear prior to the injuries, including this special make-up of the Hyperenforcer. 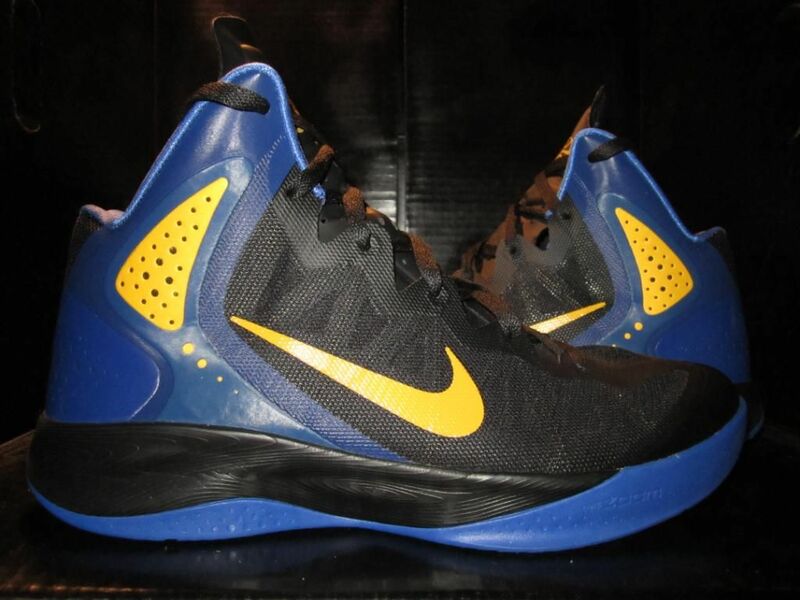 The shoe features a black and blue Hyperfuse-based upper, accented by hits of yellow on the Swoosh, ankle detailing and custom "SC30" logo on the tongue. 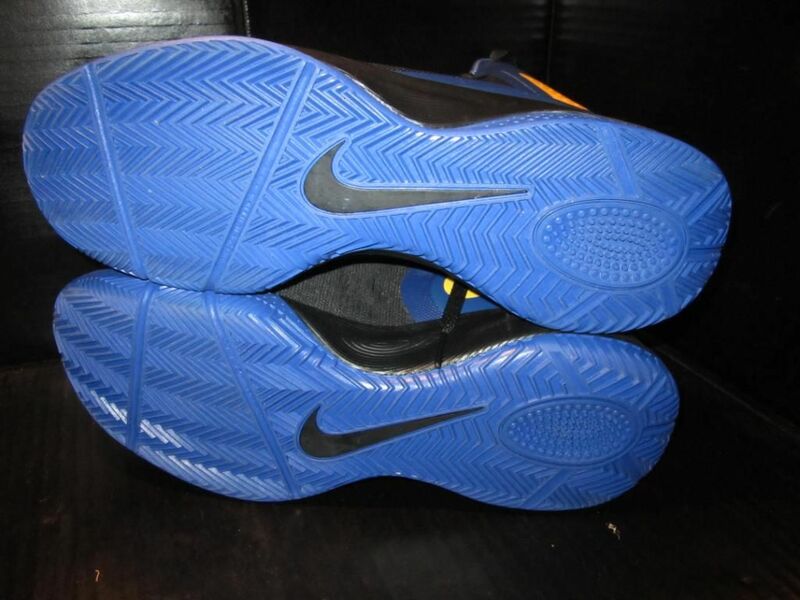 Black works the Zoom cushioned midsole, while a solid blue rubber outsole provides the final touch below. 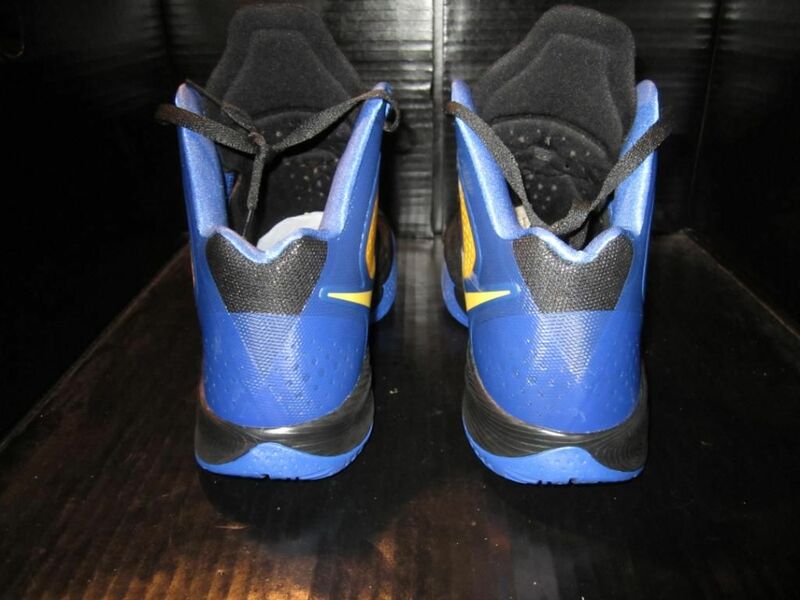 This pair was recently auctioned off on eBay, but sales sample tagging may indicate a future release at select locations. 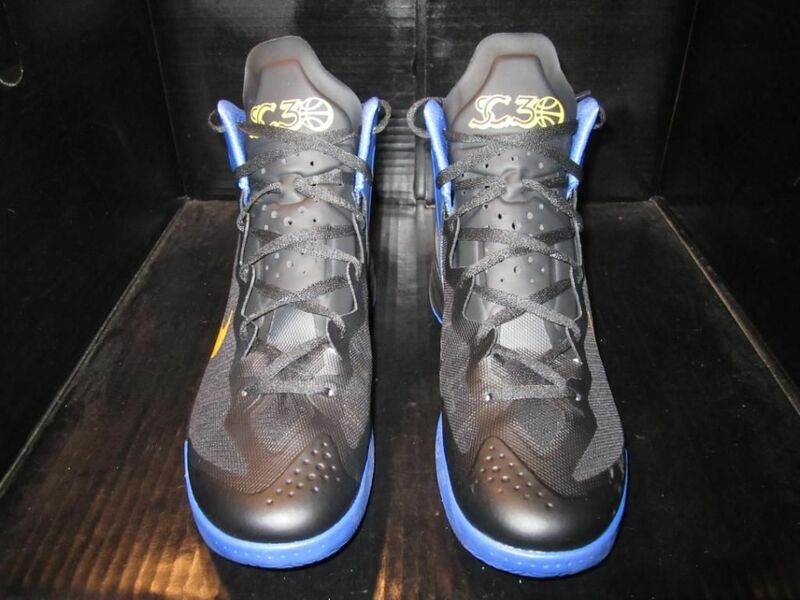 We'll let you know if these are due out anytime soon here at Sole Collector.